On average we spend up to two hours per day on social media. That’s a lot of time spent flicking through Facebook, or trawling through Twitter. Your smartphone was built for so much more. So, take a break from your social circle with our list of alternative (and even lifechanging) things you can do with your smartphone. One way to be more productive away from social media is to learn another language. Give Duolingo a whirl. It’s one of the most popular language apps around, and for good reason. It teaches you by getting you to connect words with pictures. It’s a visual style of learning that’s great for helping you pick up the basics. And it’s free for iOS and Android. The gym can be an intimidating place for fitness newbies. Feelings of self-consciousness are never far away in the face of muscle-bound, gym-toned bicep-flexers. But guess what? You don’t need a gym to get looking and feeling fitter. Nike’s Training Club app is full of routines that you can use to improve your health and fitness. It’s filled with step-by-step video tutorials to motivate you if you’re clueless when it comes to fitness. It’s like having a personal trainer in your pocket. We all need a break when life gets stressful. Meditation can help, but don’t worry if you don’t have a yoga mat and incense sticks at home, all you need is the Headspace app, and a few spare minutes a day. The highly reviewed and well received app teaches you classic mediation techniques to help you relax, and manage your stress and anxiety levels. One alternative to spending hours reading tweets is to read a book. Don’t have space for paper books at home? Then download the Amazon Kindle app. It lets you download from millions of digital books. And if you’re an Amazon Prime member, you can read over 1,000 books for free. It’s not just for books, you can get magazines and newspapers on it, too. We all love playing games on our smartphones. 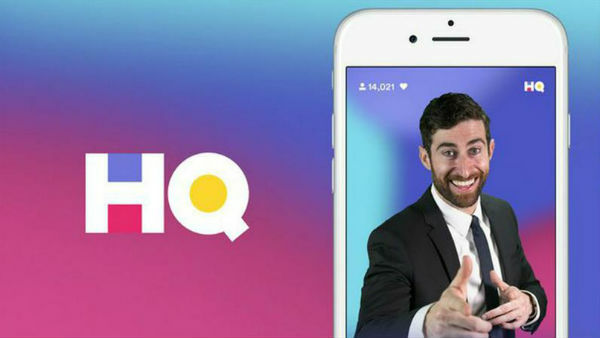 HQ Trivia is a little different. It’s a live, interactive game show where you can win actual cash prizes. Yes, it really is live, with a host and everything. The app will send you a notification letting you know when a live game is about to start. Just join, and answer a few general knowledge questions correctly to win up to $2500 (it’s an American app). Happy days. Got any more social media alternative apps? If so, feel free to share them in the comments below.